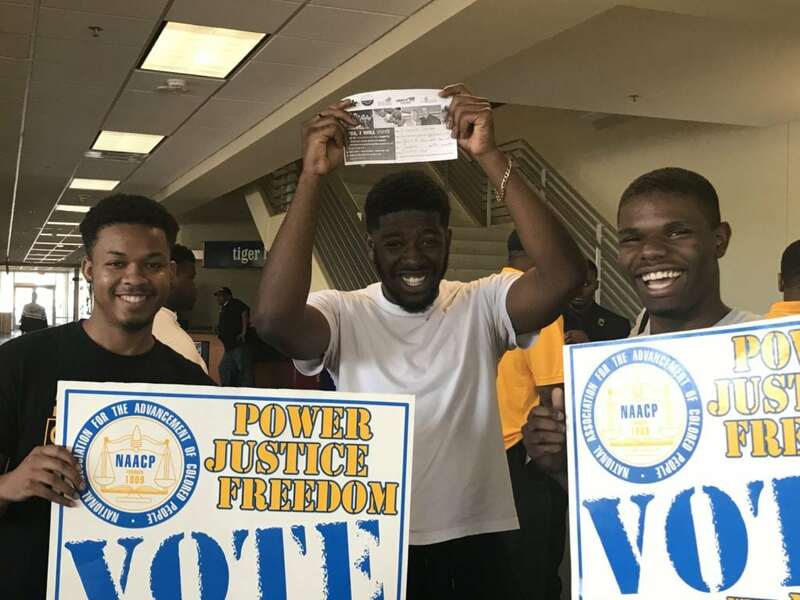 100 Black Men of Jackson (MS) – #RealMenVote100 Challenge – 100 Black Men of America, Inc.
Today, the 100 Black Men of Jackson’s Collegiate 100 Chapter of Jackson State University participated in National Voter Registration Day on campus. 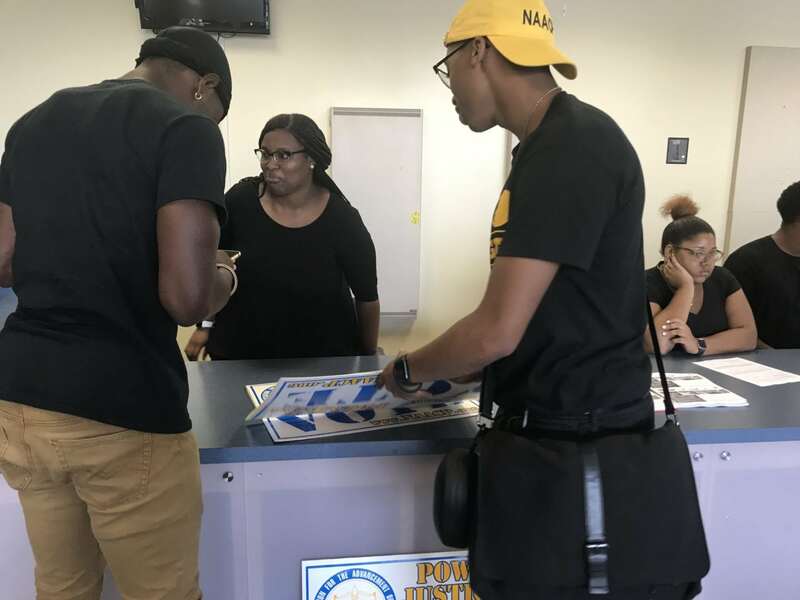 Other student organizations such as the Delta Phi Chapter of Alpha Phi Alpha Fraternity, Incorporated and the NAACP joined our chapter’s efforts for voter registration. 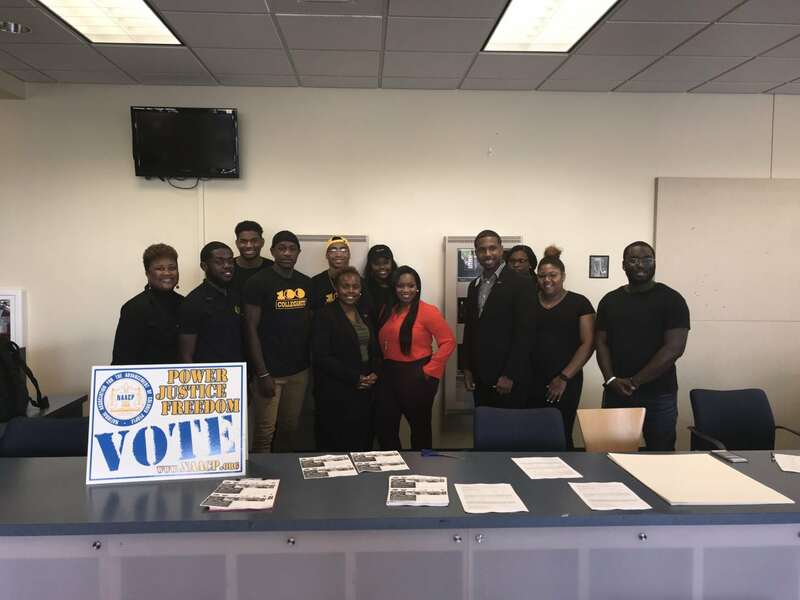 Chapter President, Harvey Johnson, Jr., and member/advisor Ronald Hicks (pictured below) stopped by to join our students. 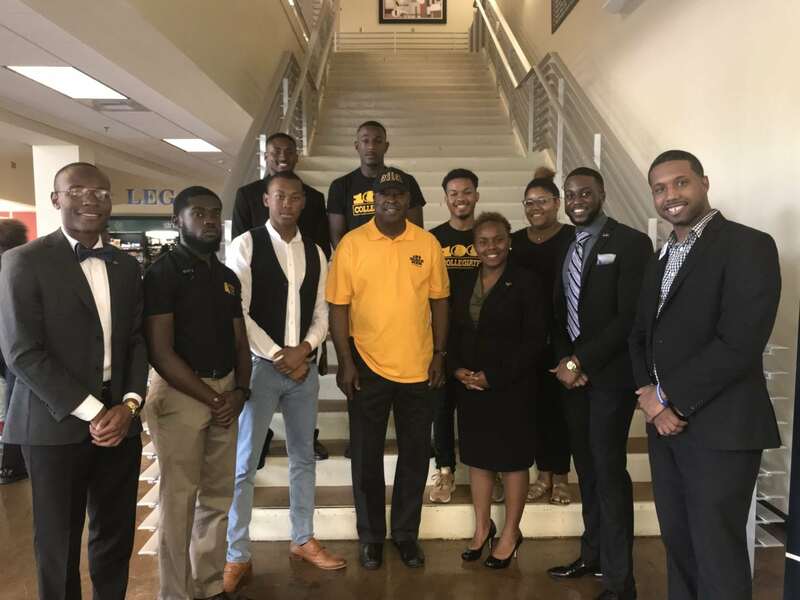 Our Collegiate 100’s President, Gaybriel Payton is also pictured. 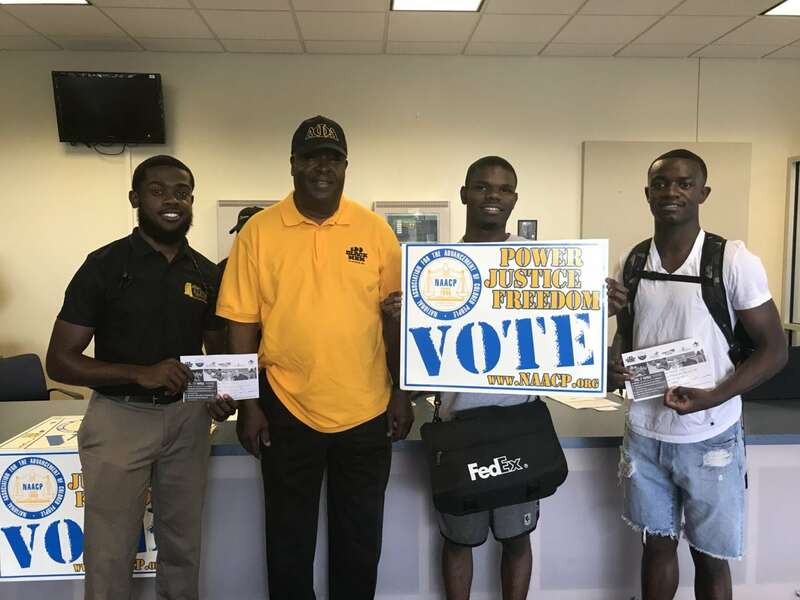 The Collegiate 100 successfully collected 180 #RealMenVote100 pledge cards and 50 voter registration applications. 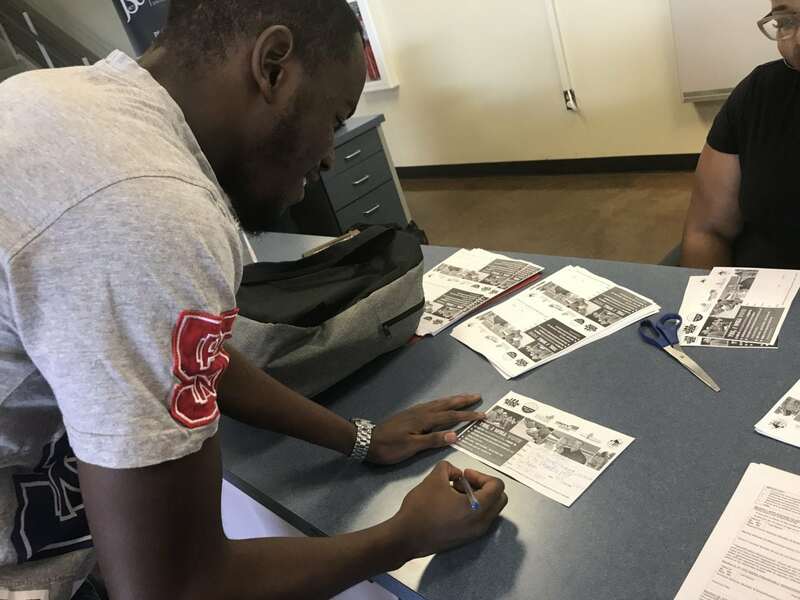 Today’s activities have been posted to our chapters Facebook page (100 Black Men of Jackson), as well as our Collegiate 100’s Instagram (@Collegiate100JSU).